Hello again. In this newsletter you will find news of the up coming National rally, some interesting links and the Australian release of the Smart car! - As advised in the e-mail that told you about this newsletter, you need to SUBSCRIBE to the new website to receive the newsletter in the future. Only 65% of the original list of people who received the newsletter on the old website have subscribed. We could continue to notify you all on the old system but it is rather labour intensive and defeats the whole point of spending the time to write a semi automated website. - For those people that have registered on the new website, if you wish, you can change your email address or password by logging on and clicking "Edit My Details"
Australian Smart Car release this month. 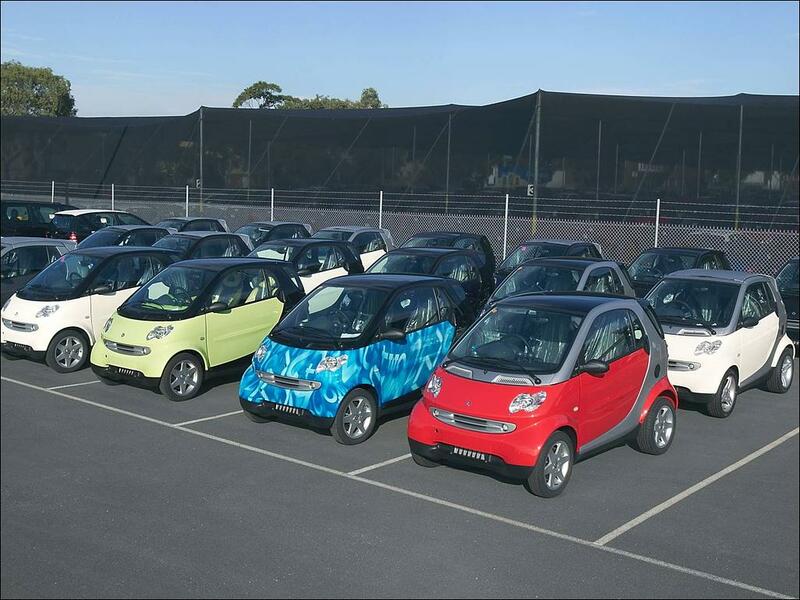 The first shipment of the new 2nd generation smart city-coupé and cabriolet has just arrived in Melbourne and Sydney ahead of the cars' sales release in Australia this month. But they won't be hanging around for too long as approximately 80 Australian customers, who ordered a smart city-coupé or cabriolet earlier this year, will be among the first in Australia to take delivery of the new 2nd generation models. smart is now readying the first of many cars to be delivered through smart Centres in Sydney and Melbourne, located within the existing premises of Mercedes-Benz of Sydney and Mercedes-Benz of Melbourne. Smart Centre Brisbane will open at the start of 2004. The arrival of the 2nd generation smart heralds the brand's official entry into the Australian new car market. The new smart model range in Australia features the highly specified and powerful smart & pulse performance and equipment package as standard. Both the smart city-coupé and smart cabrio feature a redesigned and larger capacity (698 cc) three-cylinder SUPREX turbo engine, which delivers 45 kW, and a sequential six-speed transmission. The 2nd generation smart city-coupé and smart cabrio are equipped with the Electronic Stability Programme (ESP) as a standard feature. ESP includes further functions, which enhance the comfort and safety of the vehicle, such as Hill Start Assist, Brake Assist and Acceleration Skid Control. Moreover, the Anti-lock Braking System ABS including Electronic Brake-force Distribution is integrated in ESP. Other standard-fitted items include the glass roof with sun-screen (city-coupé), leather steering wheel, front airbags, remote central locking, power windows, airconditioning, CD player and 15-inch alloy wheels. The smart´s basic design consists of short crumple zones around an extremely rigid TRIDION safety cell. The sandwich platform construction locates all the assembly units under the passenger compartment. The outer skin consists of flexible body panels. They are made of coloured thermoplastic which is 100-per cent recyclable. Mercedes-Benz Clubs of Australia National rally. Last newsletter we told you how all you Roundie/Ponton owners out there could go to a meeting in Poland. Well, here is one a bit closer for everyone to attend. 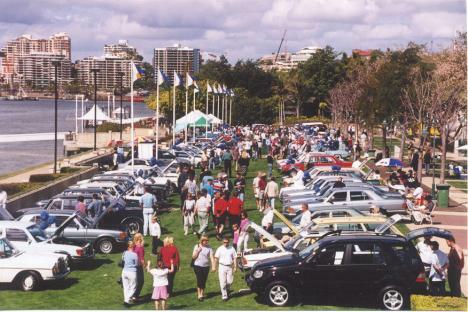 Every two years one of the Australian Mercedes-Benz Clubs takes their turn to host a National rally. This time it is the Mercedes-Benz Club of Queensland that is the host. The following info has been sent to us from the club. Contact details are included in the information. View the city lights and meet members from all clubs joining us in a relaxed evening. Hot and cold canapes will be served initially, followed by two hot dishes with rice and buttered noodles. Several bars will operate. Delegates buy own drinks, pay direct or charge to your room. · Full buffet breakfast at Rydges Riverside restaurant, then board your Mercedes-Benz coaches for a trip to the Sunshine Coast. · See the Glass House Mountains, and lush sub-tropical Maleny hinterlands. Morning tea of filtered coffee or tea, cakes, scones and muffins and the chance to stroll through Montville with its craft shops and glass blower. · Lunch in the Village Hall at Montville will be sausages in bread, hamburger, onions and salad. Soft drinks, beer and wine will be for sale at a nominal price. · After lunch, board your coach again for a visit to local attractions such as the Ginger Factory at Yandina, the Macadamia Factory, etc, and then to the coast for a drive along the beaches for which this coast is famous. · Return late afternoon to Rydges. 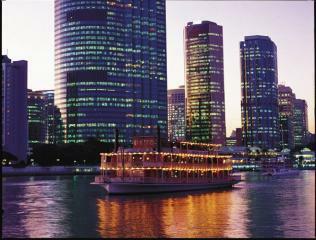 Walk out of your hotel, stroll across the South Bank Parklands to the river where your paddle steamer will be waiting. · <?xml:namespace prefix = w />Dinner Cruise on the Kookaburra Queen 7-11 pm. Live entertainment, buffet meal. Buy own drinks. After a relaxing cruise, the paddle steamer will return to South Bank at 11pm where a leisurely stroll takes you back to your room at Rydges. · Full buffet breakfast at Riverside Restaurant to start the day, then into your cars, or coach for our overseas members and a drive to the Darling Downs. · Morning tea with a difference while at the same time, see some of the vintage War Birds at Toowoomba Aerodrome. On to John and Merle Freeman’s home, a few minutes out of Toowoomba. 80 acres of gardens and cars to dream of, including the oldest in Australia, an 1899 Winton Phaeton, and maybe the chance for a drive in it, a 1913 Singer, a 1926 Rolls Royce phantom 1 Saloon with an Australian built Waddington body, a Lamborghini Countach, as well as Mercedes-Benz valley. · The collection is endless, with a Grosser, a newer 600, a 500SL, and another shed full of restorations under way- 350SL, 450 SLC, MG TC and a Lamborghini Espada and parts and more parts and cars in Mercedes-Valley. · Bring comfortable shoes if you are going exploring among the treasures.Enjoy a pre-dinner glass of wine and/or a wine tasting before a casual alfresco lunch barbecue in the lush garden setting- Merle’s handiwork. Spend as much time as you wish, and on your return, drive through the aptly named Garden City. · The evening will feature a two course gala dinner in Rydges banquet room 7-11pm with live entertainment and a three piece dance band as well as a host of light-hearted awards. Full buffet breakfast at Rydges, then drive your car across the road to the Cultural Forecourt of South Bank where the grand finale will be the line-up of cars along the Brisbane River. This price has been made possible by the wonderful generosity of DaimlerChrysler Australia/Pacific Pty Ltd in support of this National event. The subsidy will benefit members from each state. King suites have a private bedroom, a lounge room with sofa which converts into a double bed, and a wrap which comfortably sleep four (add $180). If you wish to come earlier or stay longer Rydges will honour these very discounted prices for additional nights. If you want to be with the early birds, but unable to pay the total payment at this stage, the instalments price will be $350 if you are in the first 100 registrations and $350 by the end of January 2004. Name of spouse or partner, if applicable …………..……………………………………. I am a financial member of the Mercedes-Benz Club of……………………Membership No. ……. You must send your name, club and number with the internet banking reference number to crreid@bigpond.com so we know where the deposit has originated. You must provide your member number and your name and important tell the sending bank to “Please convert funds to AUS dollars” which avoids hold-ups. Not every bank overseas does SWIFT (Standard Worldwide International Fund Transfers), the sender must find a bank with a relationship with an Australian bank. Again, you must send similar details, name, club, membership number and the SWIFT reference number to crreid@bigpond.com so we know where the deposit originated. Wonderful response to this article from the last newsletter. For new newsletter list members, the pictures have all been put on the server from the old site. I have had a few people ask if they can use the pictures. This is fine, so long as the source (John Green) is recognised. Things are improving, we have had an average of about 50 people per day subscribing after the last newsletter. As advised in the e-mail that told you about this newsletter, for those of you who haven't, you need to SUBSCRIBE to the new website to receive the newsletter in the future. We could continue to notify you all on the old system but it is rather labour intensive and defeats the whole point of spending the time to write a semi automated website. We will only be sending out a few more newsletters using the old system. After that, if you haven't subscribed to the new site you won't receive the newsletter. Remember poor old David Muellers 450SEL accident from Newsletter 49? Well, it is finished and back on the road. There is an updated webpage here that you can check out for the whole story. And if any of you feel that you have too much time on your hands you might like to try a project like this. Yes, it is for real. The base car is stated to be a 87 500SEC but looks like an earlier one to me. And here is a picture of a tow truck that I would just love to buy. Unfortunately it is a bit to far away for me to bid on it. We are starting a new system this Newsletter for listing the cars for sale. Instead of a picture and description of each car, there will be a very short description and a link to a page with a full description. After a few weeks each one of these pages will have an interior and exterior shot as well as more info than before. This change is due to some of the constraints of the system the new website works in. The 300SE 63 Cabriolet is going to a new home in Melbourne. It will be in good company as the new owner also has two W111 coupes and a few other Mercedes-Benz classics.